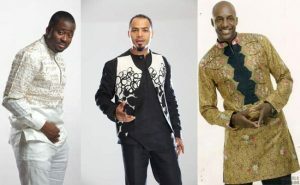 Fashion designer Clement Mudiaga Enajemo, popularly known as MUDI, has stated that the world will eventually accept African fashion if Africans themselves patronize their own. According to him, Africans must learn to support the call to wear African clothing to office every time instead of wearing suits and ties. Speaking with NEWS-ONE in an interview on Wednesday, he said if he has the sole opportunity to change anything about Africa’s fashion industry, he would definitely making sure that the entire world wears African clothing. African fashion, he has observed, has so much versatility and is one of the best in the world, yet it is not well exposed. MUDI believes it is high time Africans realised their power in fashion and push it to the world just as the Western world did with their suits and ties. “If I have the chance to change anything about the African fashion industry, what I will change is to make the entire world wear African clothing, which to me, is the best. Africans have got the versatility. Over the years, we have been forced to wear suit but we can change it. Let’s redefine it and wear African cloths to office. There is not wrong with it. Let’s make a statement with our clothes to world. It is possible if we believe in ourselves. It will take time but let’s start from somewhere,” he added. MUDI’s comment comes ahead of the re-launching of MUDI Designs in Accra on Thursday, November 15, 2018. He is opening a new outlet opposite the GT Bank at East Legon. 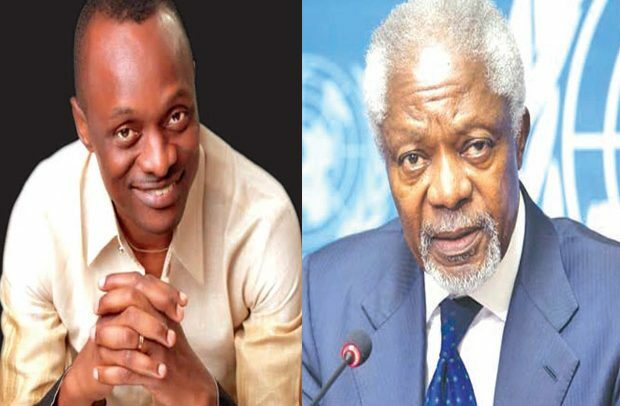 The re-launch ceremony will also witness the release of his new collections named after Kofi Annan. This will also coincide with the CEO’s 50th birthday celebration, 25 years in fashion and his 10th year in Ghana. MUDI currently remains one of Africa’s authentic clothing lines that run chains of stores in Nigeria, Ghana, Kenya, South African and other parts of the world. He creates and designs unique and stylish men’s clothing. The ceremony in Ghana will attract some of Ghana’s male personalities like KOD, KDD, Reggie Rockstone, Kiki Banson and a host of top entertainers. He has urged Africans to always wear African prints because it’s the best way to influence the world.